The Andrews Labor Government is delivering a healthier Port Phillip Bay – benefiting Victorians and tourists, as well as protecting one of the state’s most important ecosystems. The final round of the Port Phillip Bay Fund (PPBF) in now open, with $850,000 of funding available.. The Andrews Labor Government is forcing big power companies to give Victorians a better deal on their power bills. The Labor Government will today introduce a Bill into parliament to legislate a Victorian Default Offer that will cut the cost of energy for households across..
Victorians are getting the extra support they need to drive down their energy costs, with rebates now available for solar hot water systems as part of the Andrews Labor Government’s Solar Homes package. Victorian households can now claim up to $1,000 rebate for solar hot water systems.. Hospitals across Victoria are seeing major reductions in their energy bills, thanks to the Andrews Labor Government’s energy efficiency program. Minister for Energy, Environment, Climate Change and Solar Homes Lily D’Ambrosio said hospitals like Brunswick Private Hospital are rapidly introducing energy efficiency measures to help.. The Andrews Labor Government thanks Simon Corbell for his work and dedication as he steps down as Victoria’s first Renewable Energy Advocate. Mr Corbell brought more than 20 years of senior experience in public policy to the Renewable Energy Advocate position and acted as a..
Victorian schools who are minimising waste, saving energy and water, increasing biodiversity and tackling climate change are set to be recognised by Sustainability Victoria as part of the 2019 ResourceSmart Schools Awards. 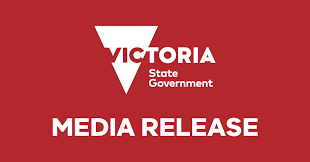 Minister for Environment, Lily D’Ambrosio today encouraged schools to enter Victoria’s largest sustainability..